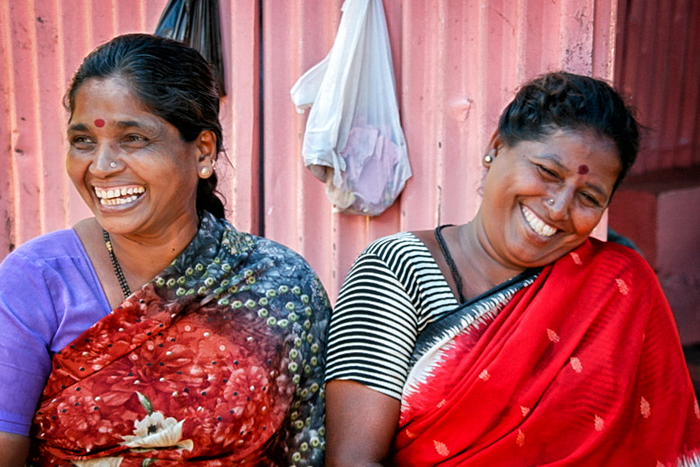 The South of India is a relaxed place to explore with a wealth of sights highlighting the region’s great diversity. The states of Kerala, Karnataka, Tamil Nadu, and Andhra Pradesh share an ancient heritage, although they speak different languages and each has its own distinct cultural and artistic traditions. Throughout Southern India there are famous ancient monuments and temples; silk-weaving and crafts; spice plantations, coffee and tea estates, wildlife sanctuaries and renowned Ayurvedic health resorts. 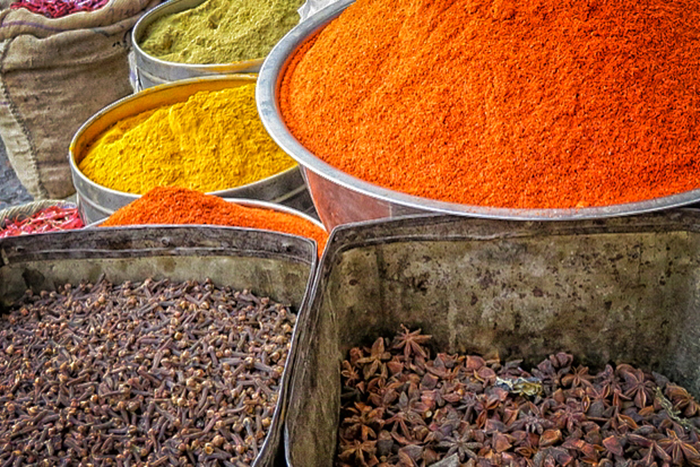 South Indian cuisine provides an array of flavours, particularly in Kerala, the land of spices. Try a Dosa – a rice pancake served with spiced potatoes, sambhar (a spicy lentil broth with vegetables) and coconut chutney. There is also fresh fish and seafood. There are many places to see and visit and we have given some highlights. Please contact us to find out more about a holiday in this region. Nestling between the Western Ghats and the Arabian Sea, and in the south of India, Kerala is full of coconut groves and paddy fields, with a diverse culture enriched by three great religions. You will find tea, coffee and spice in lush green plantations; ports with colonial pasts and gentle backwaters; wildlife sanctuaries and wide, palm-fringed beaches. Kerala also offers trekking and walking, cycling and kayaking opportunities; delicious food and interactive cookery classes. Choose your accommodation from a variety of individual boutique and colonial style hotels, resorts and welcoming home-stays. 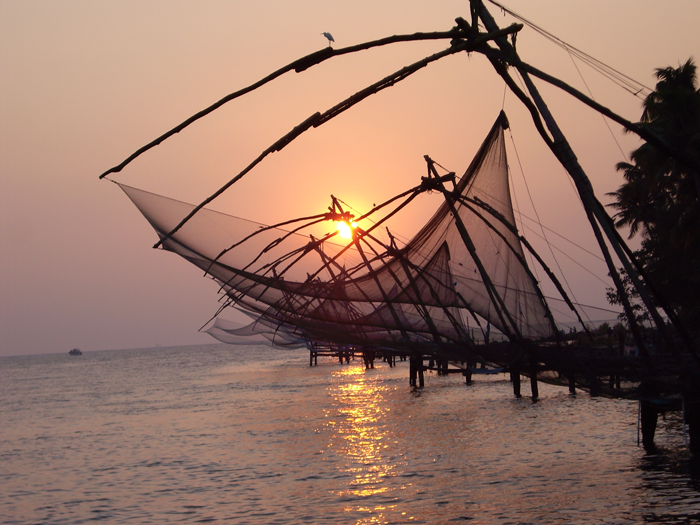 Kochi (or Cochin) is the spice centre of India and it is a strange and attractive mixture of Dutch, Portuguese and British heritage. Its great charm is that it is partly built on islands. At the tip of the isthmus is Fort Cochin with its fine houses and gardens and the Church of St Francis. Built in 1546 by Franciscan friars who accompanied Vasco De Gama (whose remains are buried here), it was the first European church to be built in India. This small town lies at a height of about 1,800 m in a part of the Western Ghats known as the High Ranges. The sprawling tea estates here were first established by the British in 1878 and Munnar was once a summer resort for the British government in South India. There are good opportunities for walking and hiking in the hills here, and cycle rides. 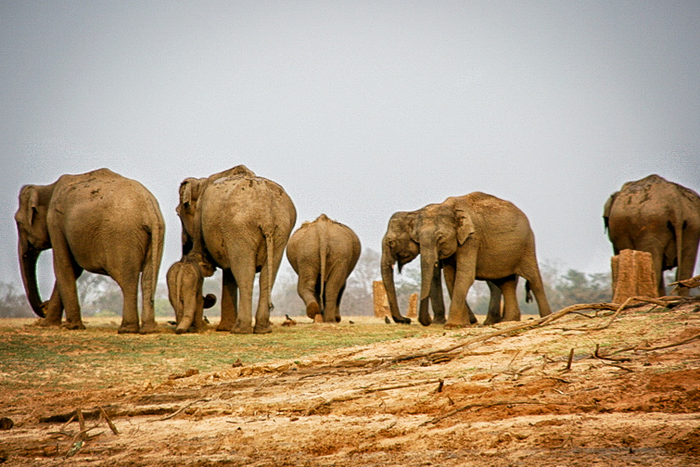 The lake and the abundant grassland around it make the Sanctuary an ideal habitat for elephants. Boat cruises on Lake Periyar are a good way to spot herds of wild elephants and other wild animals including Indian bison (gaur) and sloth bears. There are some fabulous places to stay around Periyar that are quiet extensions of the rolling plantations. 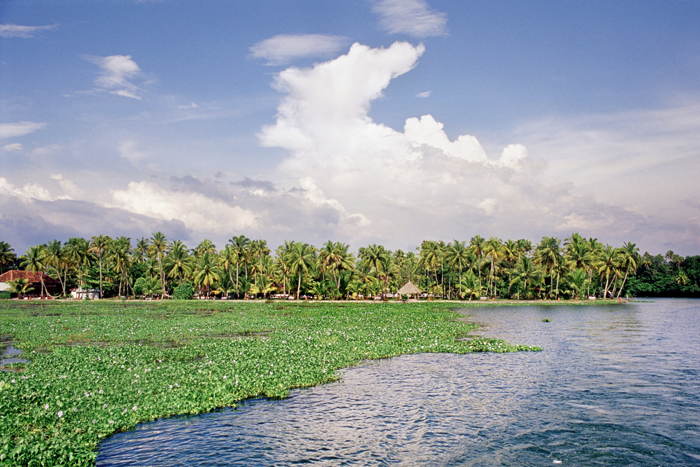 A cruise along the backwaters is one of the most enchanting experiences that Kerala has to offer. The labyrinth of waterways which weave through villages set amidst lush vegetation gives glimpses of the unique rural lifestyle in Kerala. The Kettuvalloms, or Rice Barges, that in days gone by were a means of transporting rice, coconuts and other commodities have in recent times been replaced by modern houseboats; many are air conditioned and have furnished bedrooms and modern facilities. Sections of the curved roof of wood or plaited palm leaves open out to provide shade and allow an uninterrupted view of the backwater country. 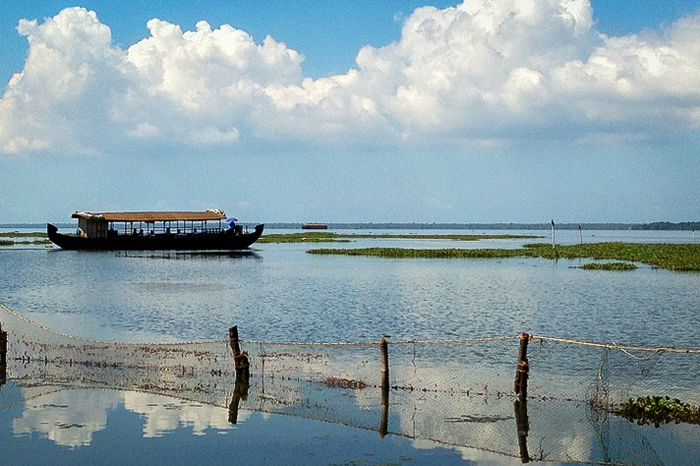 Cruise along the backwaters for a day or choose longer, and enjoy overnight stays. Situated on the banks of the Vembanad Lake this is a beautiful place and bird sanctuary. Water fowl, cuckoo and wild duck can be seen in abundance here. In winter, large flocks of migratory wild duck from Siberia come in spectacular formation to roost. 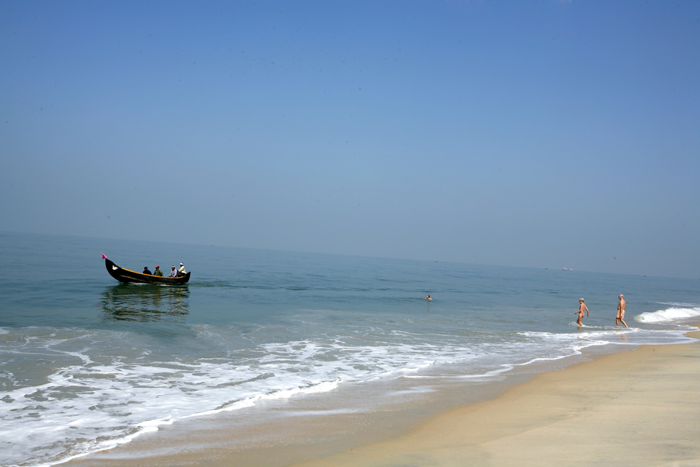 This is a quiet beach, close to the backwaters and about an hour’s easy transfer by road from Cochin. There are a number of places to stay here including the Marari Beach Resort. This has individual cottages tucked away on a secluded beach in Alleppey. Enjoy some tennis, ayurveda, yoga and meditation, explore village life, some cycling, learn to cook with spices. A spectacular beach and shallow, crystal-clear waters and with a variety of places to stay, Kovalam retains a charm that makes it a popular beach resort. Varkala has long been renowned by Hindus as a place of pilgrimage. With spectacular sands and red cliffs this is an appealing beach destination; it is famous for its natural springs and is also a centre for Ayurveda and yoga. In the 19th century, Bangalore with its gentle climate, broad streets and green public parks was known as the “Garden City”. Today the capital of the southern state of Karnataka is the fastest growing city in India with its population increased by the science based computer industry. Famous also for silks and saris. 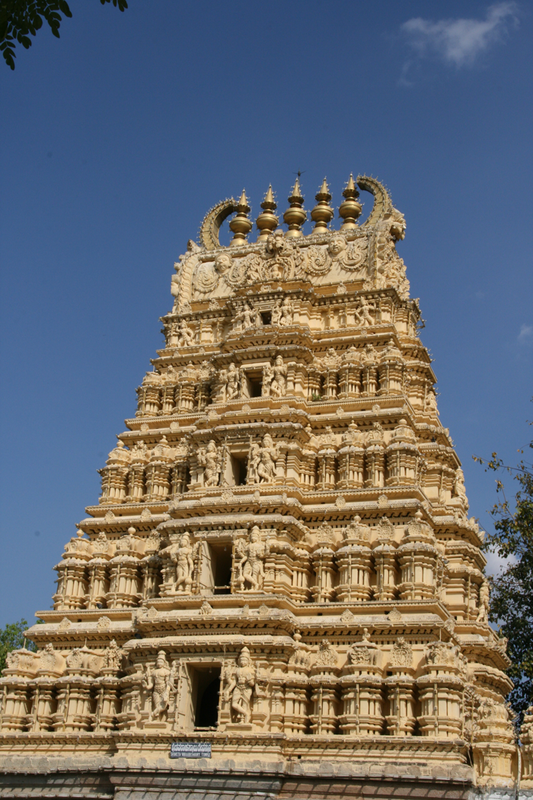 This erstwhile capital of Tipu Sultan is one of South India’s most visited places. Mysore is a pleasant, old fashioned town – the centre of the sandalwood and incense industry, and dominated by the Maharaja’s Palace. Built in the Indo-Sarancen style in 1907, the Palace is a beautiful extravaganza of carved mahogony ceilings, mosaic floors, stained glass windows and a superb columned Durbar Hall. Just outside Mysore is Srirangapatnam. The fort was mostly destroyed by the British, but Tipu Sultan’s beautifully painted Summer Palace (1784) still stands. This is a teak palace with repainted murals surrounding the main rooms. The gardens were laid out by Tipu and planted with trees from Kabul and Persia. A profusion of rivers and swampy grasslands keep this park green all year. Coracle rides on the Kabini River are a good way of spotting wildlife. This reserve forms one of the most important migratory corridors for animals such as the Asian elephant and the Indian bison. Once the exclusive hunting ground of the rulers of Mysore, Nagarhole became a National Park in 1955. A profusion of rivers and swampy grasslands keep this sanctuary green all year. There is a variety of places to stay including Orange County, Kabini, situated in the heartland of the forest and surrounded on three sides by the Kabini River, offering very comfortable accommodation. Bird watching, coracle boat rides, elephant treks and visits to tribal villages are all possible here. Set amid the forested mountains of the Western Ghats, Kodagu (Coorg) was an independent state until it became a part of Karnataka in 1956. 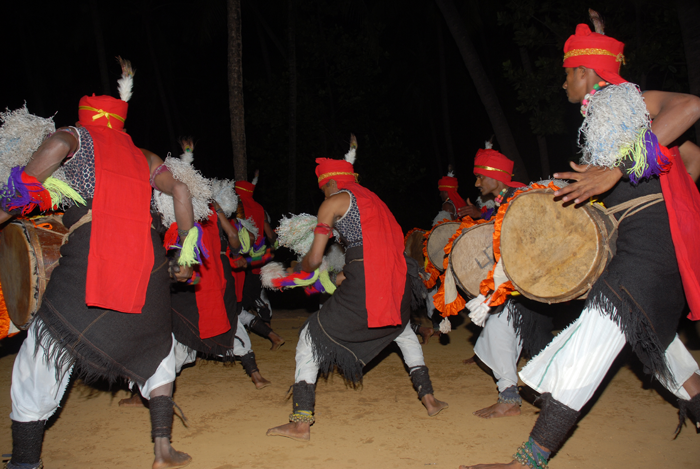 The people of Coorg (or Kodagu) are a distinct ethnic group and are proud of their martial origins, reflected in their cultural drama and dance. 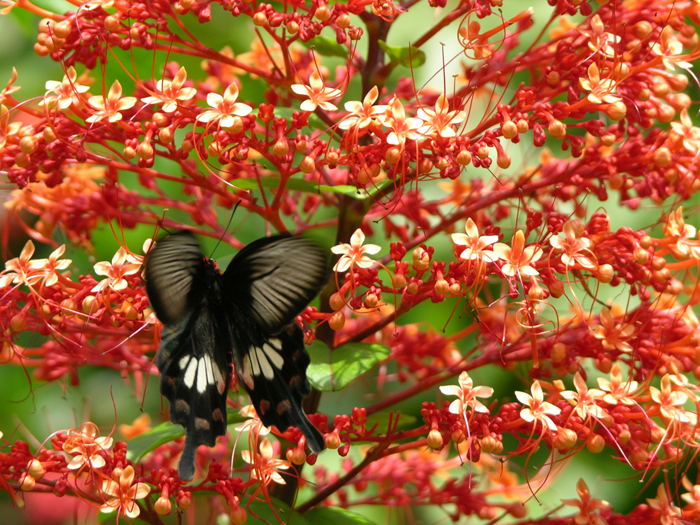 You will find coffee and spice plantations in this area, as well as lush paddy fields. A UNESCO World Heritage Site, Hampi boasts the evocative ruins of Vijayanagar or the “City of Victory”. It was the capital of three generations of Hindu rulers for more than 200 years. It is in a superb location, with rocky ridges and granite boulders which act as natural defences. Previously known as Madras, Chennai is India’s fourth largest city with excellent road, rail and flight connections. It is the state capital of Tamil Nadu and the gateway to the rich and varied culture of South India. Visit this Unesco World Heritage Site that is a popular fishing and stone carving village. There are magnificent temples cut from solid rock here, including the Shore Temple and the stone-carving tradition that created these is still alive in the many workshops around the village. Now known as Puchucheheri – a former French colony whose best known landmark is the Sri Aurobindo Ashram. Pondicherry is also home to Auroville, a universal township. This was designed in 1968 as a futuristic international city where people of goodwill could live together in peace. Today Pondicherry is a quaint mix of French and Tamil cultures, where French style villas and traditional Tamil homes exist side by side, and with French spoken as widely as Tamil. One of South India’s great temple towns where religion and culture still remain a part of the city’s daily life. In the enormous Meenakshi-Sundareshwara temple complex centuries old rituals are still performed in shrines virtually untouched since the days of ancient Greece. 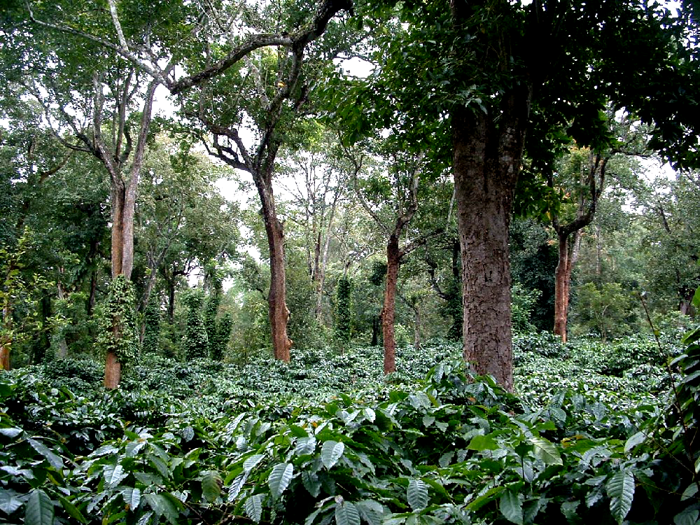 The Hill stations of Ooty and Coonoor lie in the state of Tamil Nadu. Take the famous “Blue Mountain” train up to Ooty and enjoy the Nilgiri hill stations surrounded by tea gardens. 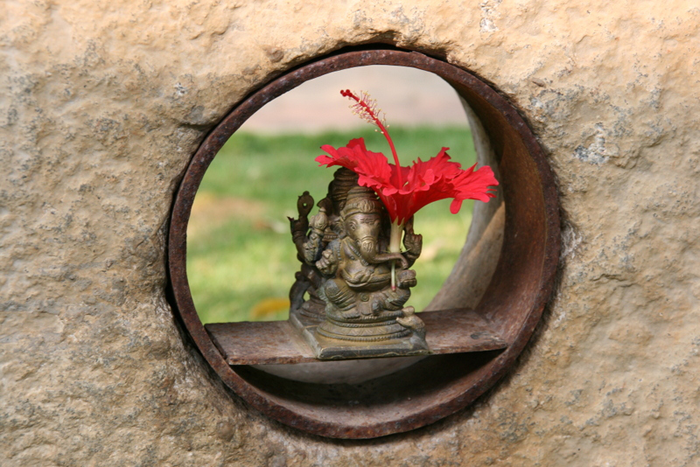 The small temple town of Kanchipuram is one of the seven sacred cities of the Hindus. It used to be a weaving and trade centre for cotton textiles but with the increase in availability of mulberry silk in the 19th century, it turned entirely to silk weaving. Kanchipuram silk saris are renowned for the lustre and the beautiful borders. Another of Tamil Nadu’s sacred cities Kumbakonam is located on the bank of the Kaveri River. It is also famous for its textiles, jewellery, bronze casting and its locally grown betal leaves. The capital of three powerful dynasties, the Brihadishvara Temple and the Royal Palace are the main attractions here. Tanjore’s culture extends beyond these temples and monuments and includes classical music and dance, bronze sculpture and painting. Chettinad is an area encompassing the towns of Karaikudi, Devakottai and their neighbouring villages. There are large ornate mansions, once the ancestral homes of the Chettiar’s, Tamil Nadu’s rich merchant community, in this region. Chettinad is famous for its hot, spicy cuisine prepared in copper vessels. This state capital city was once the seat of the powerful Nizams whose wealth was legendary. Their legacy has given Hyderabad a unique flavour, a mixture of Hindu and Muslim customs, mingled with Arab, Persian and Turkish influences evident in its language, food and art. Hyderabad is often known as the City of Pearls – it is here that pearls come to be sorted and threaded. Silverware, saris, Nirmal and Kalamkari paintings and artefacts and unique Bidri handcrafted items can also be found here.